Local activist and author Cleve Jones first attended an eight-hour premiere screening of the Dustin Lance Black-penned miniseries When We Rise at the Castro Theatre last week. This week he's fielding reactions from the public at large and giving interviews in support of the prime-time airing of the miniseries, which is based in part on his memoir of the same title, and SFist grabbed a few minutes with him to talk about how weird this has to be. SFist: It has to be bizarre seeing your life, and your youth, reenacted on screen. How accurate has the portrayal been? 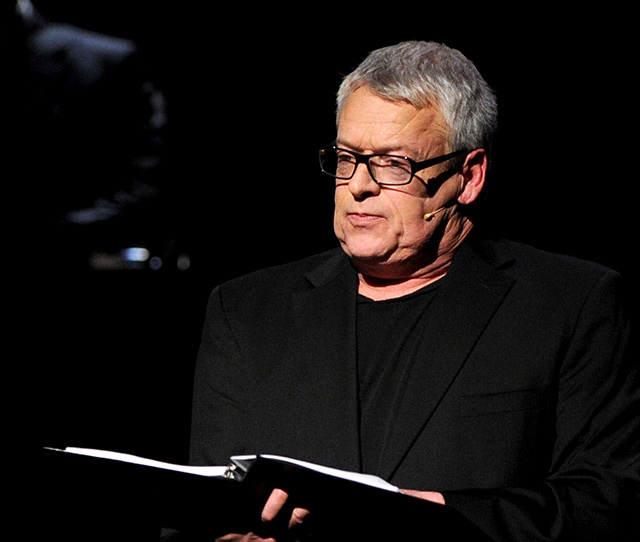 Cleve Jones: It is truly a surreal experience. I worked on the book for three years and Lance worked on the screenplay for three years (the first half of the book was done in about early 2013), so it's been an extremely long process. It was also difficult that during that time I lost both my parents and both my uncles. But yes, seeing the reenactments is more peculiar that I can possibly describe. One of the things that's very sweet about all this is that the real people behind these characters  Roma, Diane, and Ken, Cecilia, and Gilbert Baker [famous for creating the rainbow flag]  we're all still actually friends and we're all still involved in the movement, and that just has added something very wonderful to this, to have someone else to go through this experience with. Roma Guy is someone who's been a touchstone for me for literally decades. She's someone I've checked in with about everything from which candidate to support, to you name it. Gilbert Baker is probably my oldest and dearest living friend. Ken Baker and I have known each other and worked together off and on since I think the late 70s, starting at The Stud bar. I'm completely overwhelmed with watching it, yes. The weird part with the miniseries is how it's so fictionalized. I tell people "It is not accurate yet remains somehow truthful." And we all knew things would be condensed and there'd be these vast distortions of time and space. For instance the Black Cat closed in 1964 when I was 10 years old, so we couldn't have gathered there around Jose Sarria, as shown in Part 1 (and I wouldn't end up meeting Jose for many years). The place we did hang out was The Stud, and that's not shown. The stabbing incident occurred not in San Francisco but in Sacramento. And I met Ricardo, my boyfriend, several years later in Austin, Texas. How much of these other peoples' stories came out of the book, versus out of interviews Lance did? Diane is not in my book at all. There are a couple of references to Roma and to Ken. Gilbert is a significant character. At the beginning of this, Lance wanted me to help him identify people who had been there who had been there since the early 1970s and were still alive and still in the movement. Was the use of the 1971 Life magazine, which featured the words "Gay Liberation Movement" on the cover, your idea, or Lance's? I told Lance about that. It's featured in the book, and you know it's funny how many older people have told me they also vividly remember that issue. Is there a portion of the miniseries that is the hardest for you to watch? Scott [Rempel] and Marvin [Feldman] were just my dearest friends. Not a day goes by when I don't think about them. So, these reenactments, even though they're not particularly accurate in detail, are difficult. And I of course think of Scott and Marvin's families as this is being broadcast. The show goes a long way to describe how fractured the LGBT community was as this movement took shape in the early 1970s, and that hasn't been widely portrayed before. What do you think the defining moment of coming together was? Was it the Briggs Initiative for Californians? Was it the AIDS crisis? The Briggs Initiative was a very important one because it targeted all of us who wanted to work in the education system, so everyone felt threatened. Members of racial and ethnic minorities felt threatened, and so did members of unions and the labor movement. That was a real significant moment that grew out of when we built our first coalition with Labor, the Coors beer boycott that was organized by Harvey. When AIDS came, the response from our lesbian sisters was truly important. But a lot of people have focused on the caregiving aspect, and while that was important, it was a also a period when lesbians came into leadership roles in the movement as a whole. Up until that point gay men had dominated many of these leadership positions, and as so many of them were sick and dying this was a time when women really stepped forward and began taking responsibility for continuing the work that had been started. What's been the funniest or strangest reaction to the miniseries that you've seen so far, on social media or otherwise? Right now I'm getting about 50 Facebook or Twitter messages an hour, so I haven't gotten to them all yet and I'm just slogging through. The oddest and funniest thing is that I'm hearing from a lot of people I haven't heard from in decades  who knew so many of my ex-boyfriends were still alive?! And admittedly, there were a lot of them, but my god. They're all coming out of the woodwork. 'When We Rise' continues airing Thursday and Friday at 9 p.m. on ABC.